A patent watch is the method of constant observation and keeping a record of every IP data published recently, i.e. on yours and your competitor’s IP activity, which is beneficial to business across all sectors in the industry. 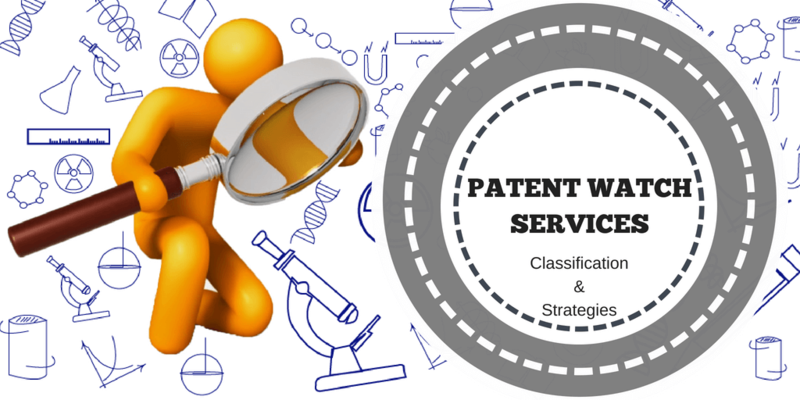 Patent watch services assist you to identify potentially infringing patents, licensing and acquisition opportunities in real-time and help in effectively minimizing risk loss of business capital/resources. Technical Patent Watch Newly published patent applications across the globe are kept under continuous observation. Competitor Patent Watch Newly published patent applications of competitor companies and inventors across the globe are kept under continuous observation. Patent Legal Status Watch Any legal status of newly published or post-grant patent applications is kept under continuous observation. Design Watch Observation of newly published design patents across the globe. Trademark Watch Newly published trademarks in federal and state trademark databases, as well as the common law trademarks, are kept under constant observation. Infringement Watch Evidence of Use in the form of products, processes, or services that have a possibility of infringement is kept under constant surveillance. 1. By subject matter: This watching search looks for any newly published patents or patent applications in a selected field of interest and especially enables you to see what possible competitors are up to. Both of these are valuable for identifying early-stage potential infringement risks. As both of the above types of watching services depend on data consisting of published patents /applications, hence these searches do not provide information about unpublished patents/applications. To consistently and effectively monitor yours and the competition IP activity, choose our service at our homepage, The Patent Watch Company. So You Stay Ahead Of Everyone!! This entry was posted in Blog and tagged Competitor Patent Watch, Design Watch, Infringement Watch, Infringing Patents, IP Activity, patent applications, Patent Legal Status Watch, Technical Patent Watch, Trademark Watch. Bookmark the permalink.